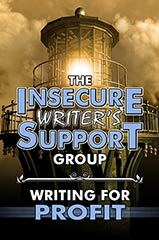 IWSG Question of the month: Have you ever pulled out a really old story and reworked it? Did it work out? I have. No it didn't work out. It was too easy to stick with what was already there and reshape that, rather than completely pull it apart to bring it back together again. I may try again another time, but the characters need a major overhaul, which in turn will change the story dramatically. Big announcement: The IWSG Twitter Pitch Party! 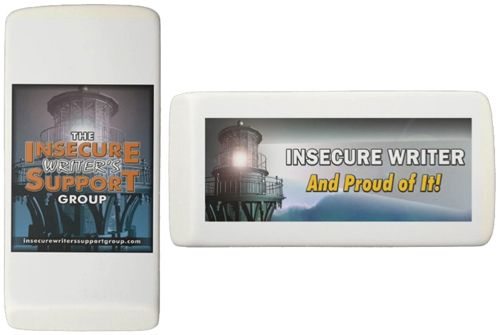 Also: We have two new items on the IWSG swag page, including a cool eraser. Check them out and support the Insecure Writer's Support Group. 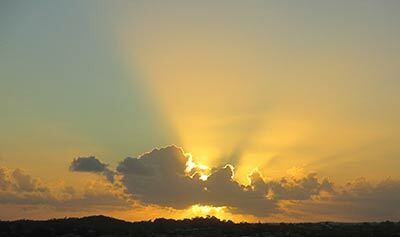 And lastly, I'd like to leave you with a pic of a sunrise I caught one morning. The Twitter pitch party sounds awesome! I have a project I keep working at; I think I use it to experiment with all my learned writing techniques. I'd love to think I might someday actually rewrite that first chapter and submit it. That's one of those rays from Heaven shots. Excellent! Sometimes taking a story in a new direction works well. Ready to rock the Twitter pitch in July. Some of my old stories pop up when I'm searching my computer for other files and I give them another edit or slip a tidbit of the information into another project. The Twitter pitch is a great idea. I keep all my old stories too. Some I'm not game to edit. Lynda, thank you so much for mentioning the twitter pitch. I'm going to be traveling then but I will participate. 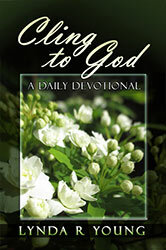 And I am still enjoying my nightly devotional from your book. You touch things that give me so much encouragement. Best wishes for the twitter pitch!! And thank you. 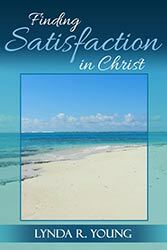 I'm so glad you are getting a lot of encouragement from my book. I've been seeing a lot of sunrises lately. Beautiful sunrise. I need to catch one of ours soon. I was going to revise the story I'm working on now, but it's been easier to rewrite it. First version had a lot of plot holes. It's easier to catch sunrises in the summer. Beautiful Sunrise! I've entered a few Twitter Pitch Parties, they are fun, especially if your pitch gets a little heart!!! Gotta love those little hearts! Love your beautiful picture. And that's awesome that the group is having a Twitter Pitch party. is it still very awfully horribly hot Down Under? It hasn't gone below 30 degrees Celsius since I moved here. I think I'm actually used to the heat! It's been the hottest summer on record. lol. I think that's a great point about actually pulling apart that old story versus only revising it. Revising so is much harder than simply rewriting. Yep, it's more work than I had realised. I'm looking forward to the twitter pitch. Sometimes one has to pull it apart to get it back together indeed. Great shot too! lol, I had a chuckle at the publishers who scared you. Twitter pitches are lots of fun. They are. 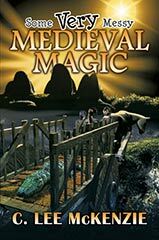 But you know, when the publisher has a really poor website and the covers for their books make you wonder if they use Microsoft Word to edit images... Yeah, that kind of scared. Ooooh, yeah, ok. Now I understand. It's always important to check out the publisher first. Not all publishers are equal. Love the picture. For me, reworking an old idea that has potential is almost like starting with something new. It's something I enjoy. Yes, it can be lots of fun when you get it right and the story starts to shine. I pulled out a couple of stories just recently to re-work, although one of them I could just try submitting again as is a polished piece! I'm wondering if I should just start over with the other one and maybe so! Lovely sunrise! Starting over is a lot easier. Best wishes for the one you can submit again. Not all stories are meant to be pulled from under the bed or back of the closet. Knowing you've grown, I'm is more than enough. You make an excellent point. Those older stories definitely show how much we've grown as writers. That is a beautiful sunset. We've had a few of them here lately. Excited about that Twitter pitch. That's my worry about re-working old stories. That It'll be too easy to just dust it off and add a layer of shine, rather than taking the time to build from the foundation up. Yep, and it's the foundation that matters the most. Now that's my trouble sometimes, Lynda. I need to take the idea and begin again. I can't wait until I complete a full-length novel to be able to pitch on twitter or anywhere. I actually like taking out old stories and re-spinning them - but it usually requires an entire new writing session with the old draft just sitting on the side as idea material. Yep, that's a much better way of doing it. That's the trouble with old stories. You try to fix one part and you end up exposing problems elsewhere. The Twitter pitch sounds great. Too bad I don't have a completed and polished manuscript ready to go yet. I'm sure we will be doing the twitter pitch again some time. Hahahaha. Hi Denise. Go back to enjoying your holiday! Beautiful photo. That is a temptation to just rework what is there and sometimes I have found that okay because what was there wasn't that bad just needed tweaking, but other times you are right it needs total demolition. The ones that just need tweaking are great. Definitely an issue I've dealt with myself. Wish I had a good answer. So many stories I want to rework, but if it's not fresh for me, it won't be fresh for the reader. A beautiful sunrise. Rewriting an old story isn't as easy as I thought it would be. I've been working on one for quite a while. Maybe it will turn out good; maybe not. Best wishes for your story. Rewriting an old story can be scarier than creating a new one. The idea of putting so much time and effort into it can also be frustrating if it doesn't work out. The pitch party sounds really cool. I enjoy the process so I probably get less frustrated, but it can be frustrating still. Short stories are a lot easier to work with. Love the sunrise! I've reworked one older manuscript. Probably won't do that again, even though it did turn into a book. 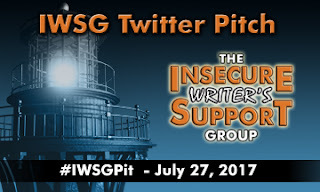 Cool that IWSG is having a pitch party. Yeah, reworking an older manuscript isn't as easy as it sounds. Ooo, a twitter pitch party! 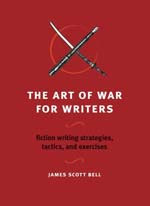 I have got to learn how to make my manuscripts sound exciting in 140 characters. If nothing else, it's good practice. Awesome about the pitch party. In the next few days I'm going to sink my teeth back into an old ms from 2010. I'm embarrassed that I haven't finished it yet. The weight has been sitting on my shoulders. The pitch idea sounds interesting. Looking forward to hearing what you think of it. Best wishes for delving into your old manuscript. The pitch party sounds great!